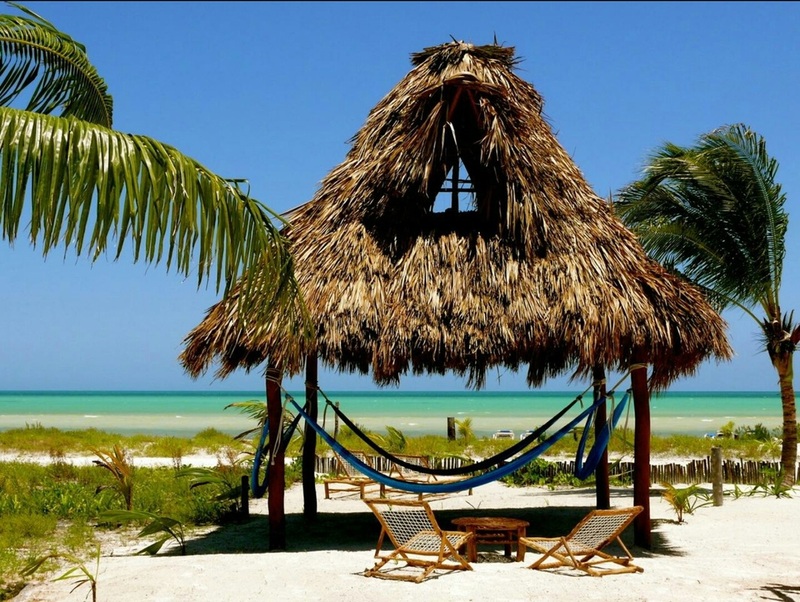 Isla Holbox is a quaint 24 square mile island of uncommercialized bliss off the coast of the Yucatan Peninsula. Part of an ecological reserve, Isla Holbox is separated from the mainland by a beautiful lagoon which is home to flamingos, pelicans, and other rich birdlife. With no public cars on the island, beachside accommodations, and delicious food, it's the perfect opportunity to relax the body, mind and spirit. The town is just a short walk from Palapas del Sol with local restaurants and shops. It’s just 90 minutes from the Cancun airport, via car (1h), ferry (25min) and golf cart (5min). We are excited to spend a week on this quiet, serene, blissful island with you! 18 spots available. 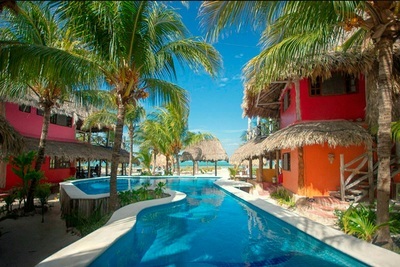 * 6 nights in a Bungalow, Suite, or Penthouse room located on the beach with pool and ocean views. *All rooms have AC*. Palapas de Sol is a boutique hotel with Mayan influences, bright colors and light to enhance your stay. It is located in the Nature Reserve, Yum Balam, which is an area of wildlife that has been protected since 1994. Waters here are crystal clear and are home to dolphins, flamingos, whale sharks, among other species! The surrounding area of wetlands and tropical forests are rich in floras and lagoons, and local restaurants are within walking distance so you can truly experience the local Mayan culture. * 3 meals will be included daily. 2 of the nights we will not have dinner at Palapas. We left those nights open for you to venture into town to dine at local restaurants and experience all Isla Holbox has to offer! * Transportation to and from Cancun airport is included. This includes shuttle and ferry service. We will be providing a few flight options for you to choose from in the near future. The more we can have traveling together, the better. * bodyART and MELT classes held daily in a newly renovated rooftop studio with panoramic ocean views. Our morning and evening classes will revitalize, restore, and bring balance to your body and mind. We will lead you through restorative mobilization and holistic exercises to help you feel your absolute best. * Flight is not included in the retreat package. Queen Garden Suites (RESERVED): up to 4 people; includes 2 queen beds. Bungalow Double (1 Room Remaining): up to 4 people; includes 2 double beds. King Suites (1 Rooms Remaining): up to 3 people; includes 1 king and 1 single bed. Studio Suite Oceanfront (1 Room Remaining): up to 3 people; includes 1 king and 1 single bed. Superior Oceanfront Watch Tower Suite (RESERVED): up to 3 people; includes 1 king and 1 sofa bed. Penthouse Oceanfront Suite (RESERVED): up to 5 people; includes 1 king, 1 queen and 1 sofa bed. *A $500/person non-refundable deposit is due when reserving your room. Payment plans are available. 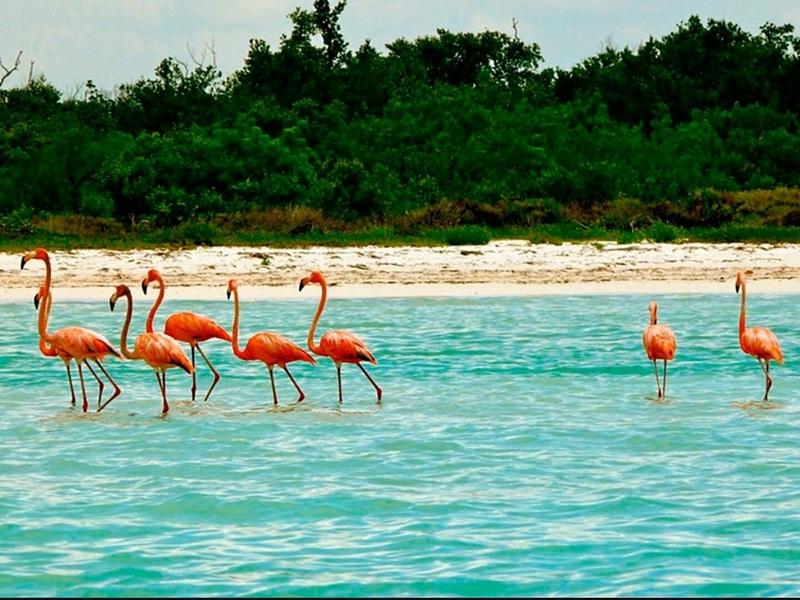 This boat sightseeing tour will bring you to 3 different points of interest in the vicinities of Holbox Island. During the navigation it is also very common to spot some dolphins and… watch out for the crocodile at Yalahau! Yalahau, Eye of Water in Mayan language, the ancient fresh water spring connected to the cenote’s net of the Yucatan Peninsula. Here you can swim in its crystal clear water that is mysteriously “pumped” up from the soil and also get on top of the mirador to have a nice view of the immense surrounding tropical forest. Birds Island, a small sand bar crowded with hundreds of nesting and mating birds. Ideal spot for very nice wildlife shots and bird-watchers paradise. Cabo Catoche Special Tour.......amazing experience on & in the water. Fishing few miles offshore of the Cabo, the right time to have fun and get enough fish for your lunch. Hand-line fishing is easy for every one as the fishing spots selected are known by the experienced captains for the abundance of fish. Snorkeling* closer to the shore, at about half a mile from the local fishermen camp site beach; there the rocky bottom shows a good quantity of marine species, including turtles, nurse sharks, napoleon fish, barracudas, starfish and many others. During the navigation it also very common to spot some dolphins and turtles! This excursion is certainly the best tour option during the whale shark season. The price per day is 200 pesos (approx. $`10 USD) from the hotel or 150 pesos (approx. $7.50 USD) if rent in the town. The price for one hour is 150 pesos (approx. $7.50 USD), for the golf car to bring it in the hotel has to be more than 4 hours.